Indiana University: Bloomington, School of Public Affairs, B.S. Aggressive advocacy. Common sense solutions. The judiciary system has been intimidating and overwhelming businesses and individuals since our Country’s founding. We proudly assist our clients in effectively navigating the distinct complexities encountered at the intersection of day-to-day operations and the law. Zachary has experience handling litigation matters in a wide array of practice areas in both offensive and defensive representative capacity. Zachary sharpened his litigation skills as a law clerk in the Second Department of New York State Supreme Court, Appellate Division. Thereafter, Zachary further gained experience as a commercial litigation associate prior to founding a solo practice. 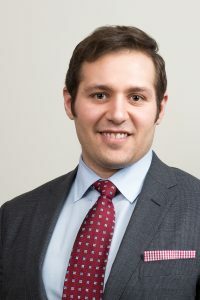 While studying at Hofstra Law School, Zachary served as Senior Articles Editor on the Journal of International Business & Law, as well as practicing transactional matters at Hofstra’s Economic Development Clinic.